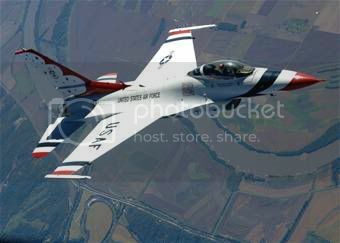 The Thunderbirds, a revered air demonstration squadron of the US Air Force (USAF) will perform their aerobatic formation and solo flying stunts in specially-marked jets during an air show here on Oct 3. 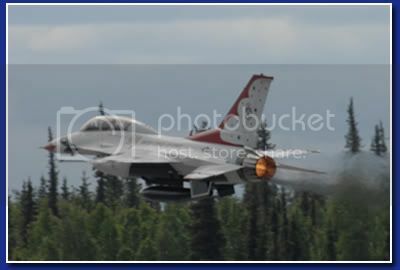 The air show which would feature the Thunderbirds F-16 and C-17 aircrafts has been scheduled to take place at the Royal Malaysian Air Force (RMAF) Subang Air Base. “The US Embassy is proud to announce the visit of the USAF Thunderbirds to Kuala Lumpur in partnership with the Royal Malaysian Air Force (RMAF),” said the US Embassy in a statement here today. The statement added that the RMAF’s Sukhoi aerobatic team will also perform at the one-day show and that is open for members of the public, for free. Into their 56th season, the Thunderbirds’ 2009 schedule includes 73 shows in the US, Puerto Rico and the Far East. 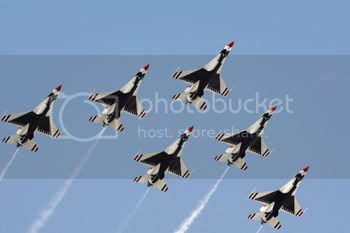 The USAF’s Lockheed Martin F-16 Thunderbirds in formation flying. They began their tour on April 18 in Puerto Rico before performing all over the US. Prior to Malaysia, they have performed in Hawaii, Australia and Guam earlier this month. Their next tour covers Thailand, Japan and South Korea before returning to the US. The aerobatic team coined its name from the American Indian fables of the giant eagle and the hawk which are described as birds of thunder. Indian legend speaks of these two birds with great fear and respect. When these two birds take to the skies, the earth seems to tremble from the thunder of their great wings, while their eyes shoot bolts of lightning. Originally stationed at the Luke Air Force Base in Arizona in 1953, the Thunderbirds later moved to their present location at Nellis Air Force Base in Nevada. The team comprises 12 officers and 120 enlisted men, led by Lieutenant Colonel Greg Thomas. The other main team members are pilots majors John Baum (left wing), Kirby Ensser (right wing), Sean Gustafson (slot), Tyrone Dyon Douglas (lead solo) and Rick Goodman (opposing solo). They are supported by Lieutenant Colonel Derek Routt (operations officer), Major Tony Mulhare (advance pilot/narrator), Major Charla Quayle (flight surgeon), Captain Patrina Hanson (executive officer), Major Dave A. Lemery (maintenance officer), Captain Jason McCree (public affairs officer) and a host of maintenance, support and liaison crew.